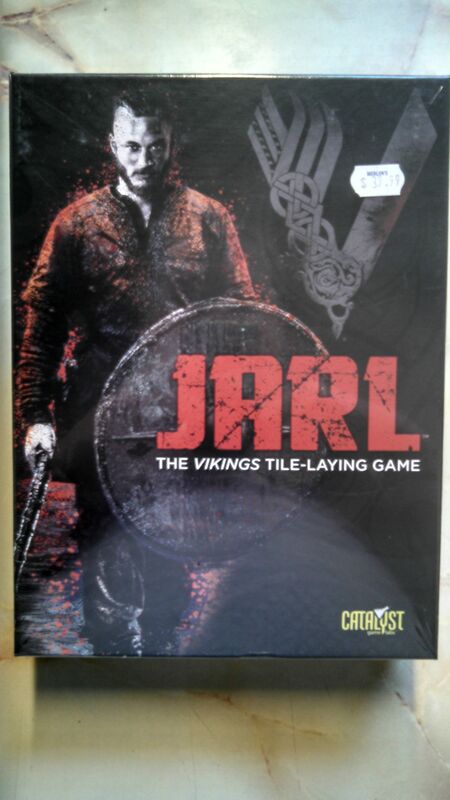 Another exciting new arrival here at Merlyn's; Jarl: the Viking Tile-Laying Game! Jarl is a strategy game and a stand-alone expansion to The Duke. Two players take turns moving and flipping tiles on a grid trying to capture the opponent's Jarl. A fun, chess-like experience with fairly simple rules but great strategic depth. Come on down and check Jarl and all our new items out!